A radiation-proof superhero could make sense of Japan’s Fukushima Daiichi nuclear power plant in an afternoon. Our champion would pick through the rubble to reactor 1, slosh through the pooled water inside the building, lift the massive steel dome of the protective containment vessel, and peek into the pressure vessel that holds the nuclear fuel. A dive to the bottom would reveal the debris of the meltdown: a hardened blob of metals with fat strands of radioactive goop dripping through holes in the pressure vessel to the floor of the containment vessel below. Then, with a clear understanding of the situation, the superhero could figure out how to clean up this mess. 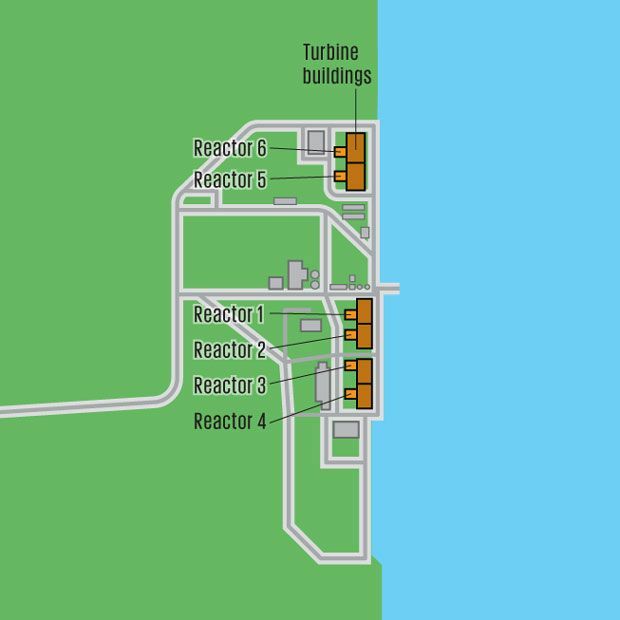 The Site: During the 2011 accident, reactors 1, 2, and 3 suffered partial meltdowns. Explosions shattered reactor buildings 1, 3, and 4. Reactors 5 and 6 are undamaged. Back at Yoshida’s lab, where modest bunk beds bespeak the dedication of his students, the team is currently working on a new and improved survey bot namedSakura. To guard against future tangles, Sakura not only unspools cable behind, it also automatically takes up the slack when it changes direction. It’s waterproof enough to roll through puddles, and it can carry a heavy camera capable of detecting gamma radiation. The bot can tolerate that radiation: Yoshida’s team tested its electronics (the CPU, microcontrollers, and sensors) and found that they’re radiation-tolerant enough to perform about 100 missions before any component is likely to fail. However, the robot itself becomes too radioactive for workers to handle. Sakura must therefore take care of itself: It recharges its batteries by rolling up to a socket and plugging itself in. Out Of The Pool: Spent fuel pools inside the damaged reactor buildings contain hundreds of nuclear fuel assemblies. 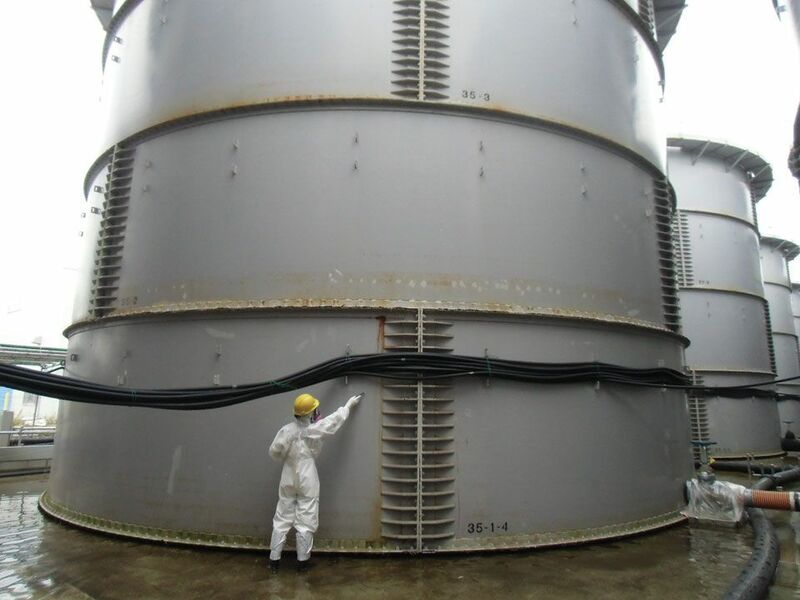 TEPCO is emptying reactor 4’s pool [top] first. In the extraction process, a cask is lowered into the pool and filled with radioactive fuel assemblies. Then the cask is transported to a safer location, lowered into another pool [middle], and unloaded. The job is made more complicated because some of the assemblies are covered with debris [bottom] from the accident’s explosions. Removing spent fuel rods is the third step. Each reactor building holds hundreds of spent fuel assemblies in a pool on its top floor. These unshielded pools, perfectly safe when filled with water, became a focus of public fear during the Fukushima Daiichi accident. 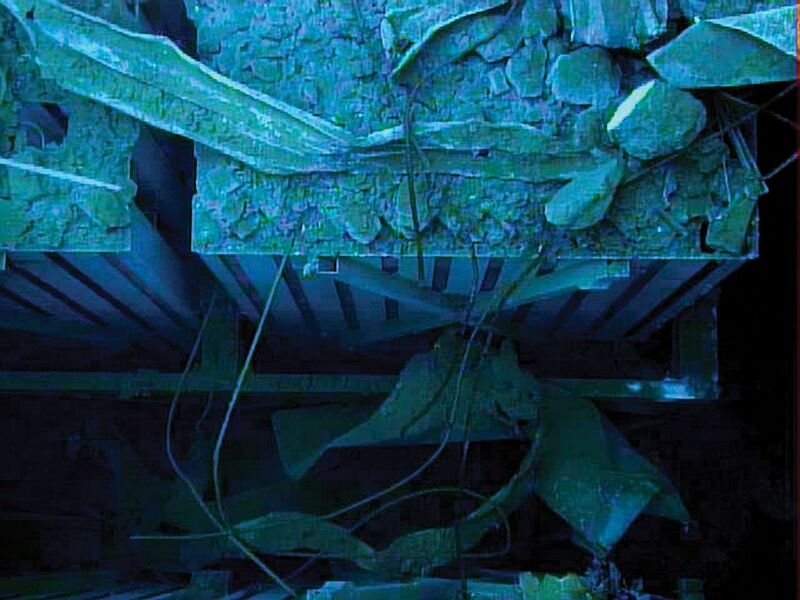 After reactor building 4 exploded on 15 March, many experts worried that the blast had damaged the structural integrity of that building’s pool and allowed the water to drain out. The pool was soon determined to be full of water, but not before the chairman of the U.S. Nuclear Regulatory Commission had caused an international panic bydeclaring it dry and dangerous. 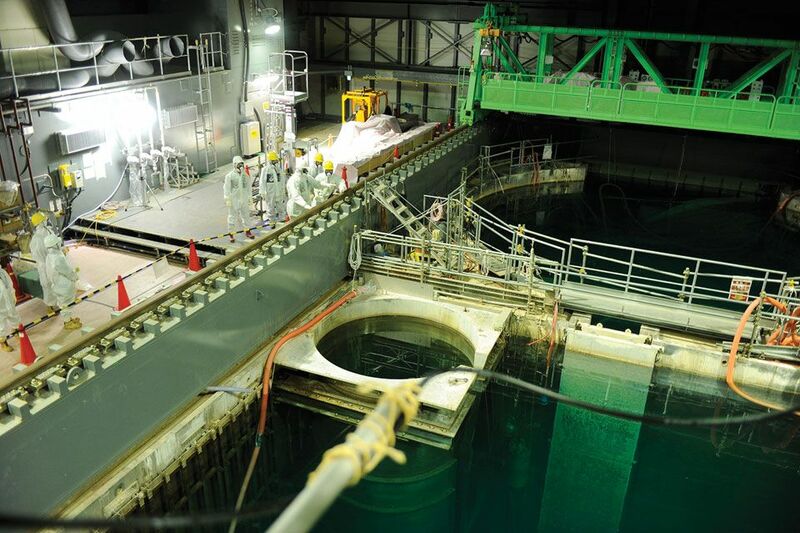 The reactor 4 pool became one of TEPCO’s urgent decommissioning priorities, not only because it’s a real vulnerability but also because it’s a potent reminder of the accident’s terrifying first days. The process of emptying that poolbegan in November 2013. 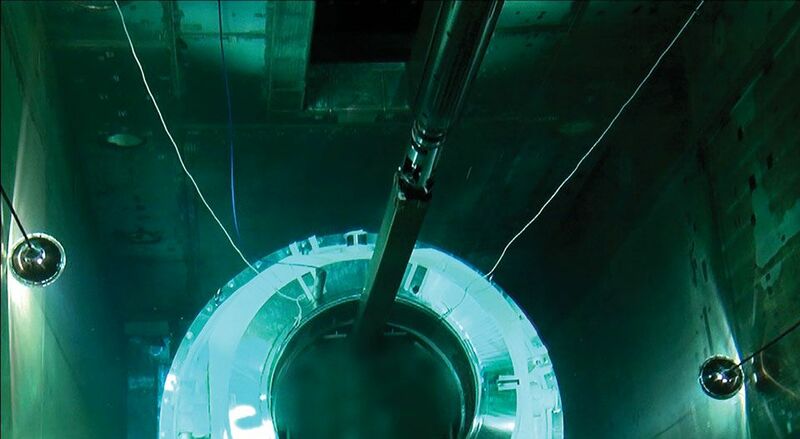 TEPCO workers use a newly installed cranelike machine to lower a cask into the pool, then long mechanical arms pack the submerged container with fuel assemblies. The transport cask, fortified with shielding to block the nuclear fuel’s radiation, is lowered to a truck and brought to a common pool in a more intact building. The building 4 pool contains 1533 fuel assemblies, and moving them all to safety is expected to take a year. The same procedure must be performed at the highly radioactive reactors 1, 2, and 3 and the undamaged (and less challenging) reactors 5 and 6. Water, Water Everywhere: Groundwater flowing through the site mixes with radioactive cooling water leaking from reactor buildings and must therefore be stored and treated. To contain the accumulating water, TEPCO is filling fields with storage tanks [bottom]. These tanks must be monitored for leaks [top]. In August 2013, TEPCO admitted that 300 metric tons of contaminated water had leaked from one tank. Removing the three damagednuclear cores is the last big step in the decommissioning. 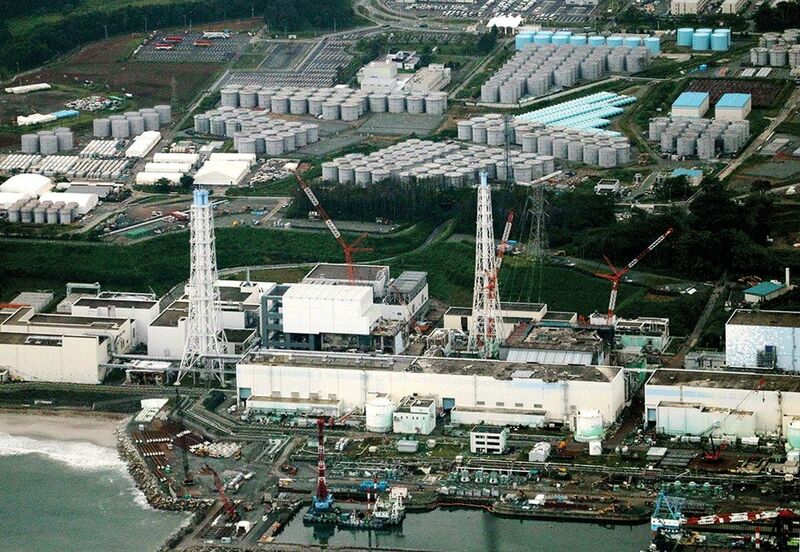 As long as that melted fuel glows inside reactors 1, 2, and 3, Fukushima Daiichi will remain Japan’s ongoing nightmare. Only once the fuel is safely packed up and carted away can the memory begin to fade. But it will be no easy task: TEPCO estimates that removing the three melted cores will take 20 years or more.